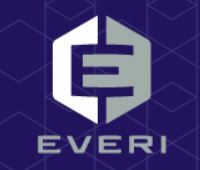 Everi is a popular Irish game provider with an excellent reputation across the world. And as you know Everi games are available in many online casinos in NJ. Granted that the gaming studio may not have the broadest portfolio. But things could soon change thanks to a new deal between GAN and Everi. In fact, three of Everi most popular slots will get an upgrade very soon. What’s more is that seven new slots will also see the day and they’ll be in HTML5. Which means the new games will be compatible across all devices. According to the recent press release, Everi will release all-time favorite slot themes. And that all under the trademarks of GAN B2B platform. An extended friendship between the two companies! Indeed, the new deal extends the cooperation of the two companies in two fields which are of course content development and financial products. Following the news Everi’s Digital VP, David Lucchese said. “The agreement reflects the commitment to develop high-quality slot content. One that matches GAN’s mature tech platform”. All and all, because of this deal Everi will get its most popular games redesigned. So, it’s likely you’ll see a new version of Carnival in Rio, and Starry Night pop in the Golden Nugget casino lobby. Because as you know, the market leader is an official distributor of Everi’s games. New distribution channels and new markets! It’s important to point out that this is a multi-year deal. But also that this new agreement extends across many channels and markets. In fact, the deal covers NJ, PA, and ten other countries. As you know GAN is a leader in B2B software solutions for land-based casinos. Its software is used by the casino industry from coast to coast. Which means that you as a casino player may have the chance to play Everi’s games not just online but offline too!